Hampi located in Karnataka is the vast Hindu’s empire with extremely enchanting locations with large boulders. Fort Kochi known as gateway of Kerala is a beautiful city that offers electric experience. The combined effect of Arab, British, Dutch, China and Portuguese had a remarkable effect on the city. This city is recognized for the famous Chinese fishing nets that line the waterfront. The fort Kochi is a complete architecture and historical sites and is a wonderful place to move around and explore the whole. Kathakali dance view and participation and receive an Ayurvedic treatment. 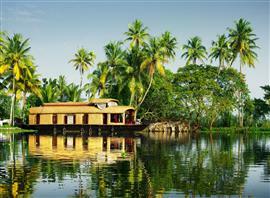 Kerala Backwaters is one of the extremely calm and relaxing things to do in the state and taking a trip through a houseboat across palm fringed Kerala, called backwaters. Indian dishes prepared by expert chef and chilled beer during boating makes the experience more pleasant. Enjoy the freshly prepared food following the sizzling recepies and stay for one or two days enjoying the best homestays in the country. Varkala beach located in Kerala is a long winding stretch of cliff and sceneries across the Arabian Sea. The footpath runs across the cliff length, surrounded by coconut palms, charming shops, beach shacks, hotels and guest houses. More is Madurai, another sizzling place in South India.